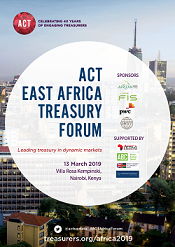 The ACT East Africa Treasury Forum took place on 13 March in Nairobi, Kenya. 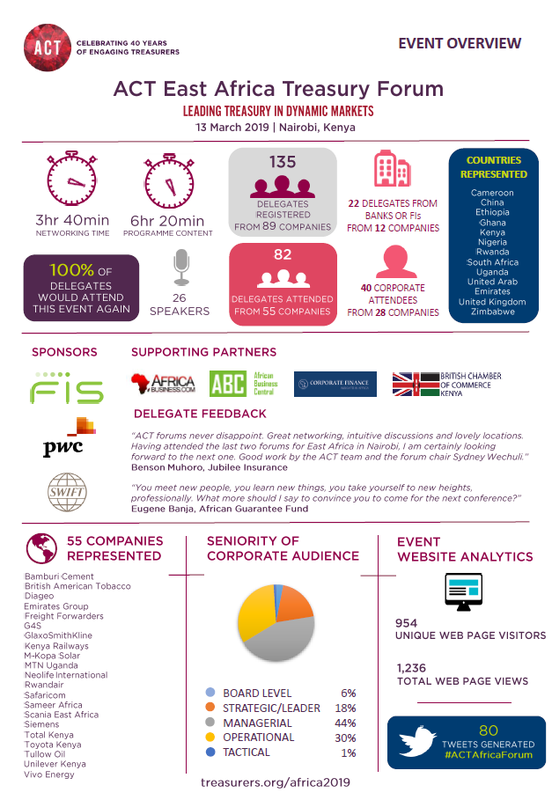 This established industry event supports growth and continued development of the treasury function in East Africa and provides a voice for treasury and finance professionals. With inflation and exchange rate trends indicating macro-economic stability for the growing treasury function, this is the region’s only one-day conference with the experts who are leading treasury in dynamic markets. 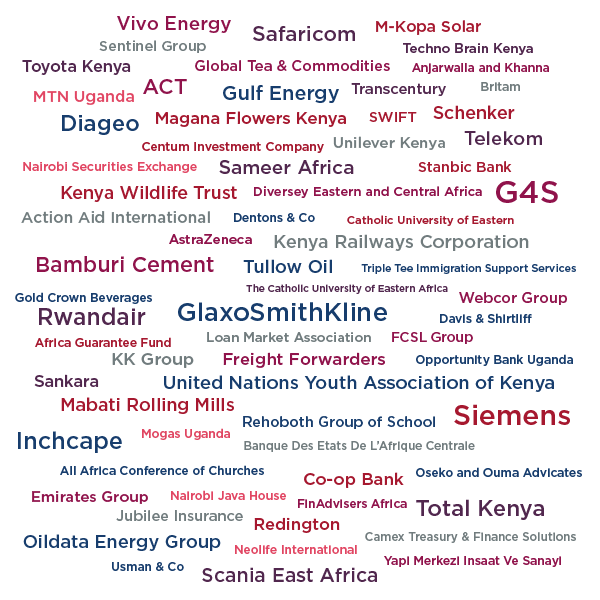 Download this year's agenda here. 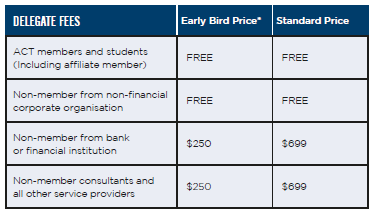 * The early bird rate was available until 15 February 2019. For any enquiries please email events@treasurers.org or call +44 (0)20 7847 2589.